In this post I decided to analyse web logs at scale. This is complementing the excellent documentation on how to read logs from one file. Here we’ll read through multiple log files. Here I’m going to read web server logs (IIS logs) from an Azure Web sites. I’ll suppose you have a web site and you configured web server logging on blob storage. First thing to do, we’ll add a new data source to our ADLA account. This will allow us to parse the files directly from the blob storage. In the main pane of ADLA, click “Add Data Source”. 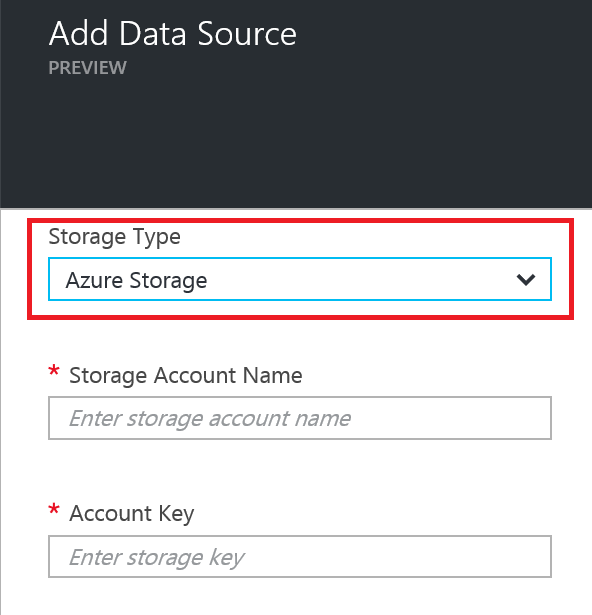 In the “Add Data Source” pane, under “Storage Type”, select “Azure Storage”. Enter the storage account information of the storage account you are using in your web site to store your web server logs. When done, click the “Add” button at the bottom. The obvious way to get around this would be to skip the first two lines. You can see the feature is sort of there in the code documentation of Extractors but you’ll never be able to use it at this point (early January 2016). This is a temporary shortcoming of the preview and will likely be fixed soon. Because of this, we’ll have to jump through hoops and do some preprocessing. Instead of grabing just one file, we grab a file set. You can read about he rules of how to define a file set here. Finally, we use my good old trick to get the entire line without parsing columns. If we would parse columns, it would break with the first 2 lines of each file as mentionned previously. Yes, I keep the old Marvel theme from the other posts. This basically concludes the pre-processing of the logs. We now have them all in one file. The file might be huge, but thanks to ADLS no storage limit, that is ok.
We could also have stored the logs in a table, which would have accelerated future processing. See this post as an example of how to do that. Now that we’ve pre processed the logs, let’s run some analytics. First query, we schema-on-read the aggregated logs we just created. Second query, we aggregate the requests per pages, count them, sort the count and keep the top 10. Third, we output that result to a TSV file. You can see how quickly we can ingest web server logs and do some simple analytics at scale. The temporary shortcoming of not being able to schematise the files directly made the solution much more complicated. With the skip-line feature we will be able to extract all files in one query and aggregate (or whatever analysis) on the second query.